Members can send unlimited free sms messages worldwide with Rewardbase. No more paying high international rates on your mobile phone to message friends and family overseas when you can use your RP on Rewardbase to easily send text messages to any mobile phone. Sending a new text message is easy. Just enter the mobile phone number, your message and press send! Rewardbase will instantly deliver the message to the mobile number at the telecom provider they are with - it's that easy! Use Rewardbase to send free sms to say happy birthday, happy new year, to organise dinner or drinks. The options are limitless with the easy, secure and fast free sms system you will have access to with Rewardbase. No more worrying about finding your mobile phone, unlocking it, opening a text messaging application and then your contacts and using those small smartphone keys. Use Rewardbase and you can type your free sms out on the comfort of your home keyboard. Send free sms reminders lets you schedule a message to be sent at a date in the future. Perfect for remembering important tasks, or reminding a friend to pick you up at a certain time. Some members even use the reminder sms feature to send happy birthday messages to their friends. The options are almost limitless, and with Rewardbase you'll be able to stay in touch with by sending free sms messages worldwide. Rewardbase supports free sms sending to 204 countries worldwide. Register now! 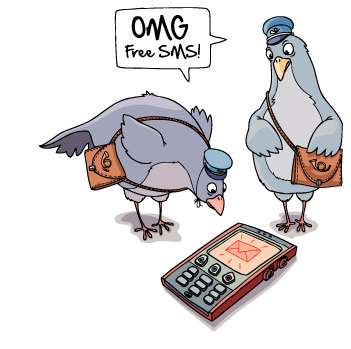 and start sending free SMS!